Dorotea DeVillardi is ninety-one years old, gorgeous, and worth a fortune. Matt Friedrich’s going to steal her. The Nazis seized Dorotea’s portrait from her Viennese family, then the Soviets stole it from the Nazis. Now it’s in the hands of a Russian oligarch. Dorotea’s corporate-CEO grandson played by the legal rules to get her portrait back, but he struck out. He’s hired the DeWitt Agency to get it for him ? and he doesn’t care how they do it. 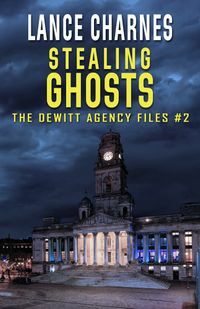 Now Matt and his ex-cop partner Carson have to steal Dorotea’s portrait from a museum in a way that nobody knows it’s gone, and somehow launder its history so the client doesn’t have to hide it forever. The client’s saddled them with a babysitter: Dorotea’s granddaughter Julie, who may have designs on Matt as well as the painting. As if this wasn’t hard enough, it looks like someone else is gunning for the same museum ? and he may know more about Matt and Carson’s plans than he should. Matt went to prison for the bad things he did at his L.A. art gallery. Now he has a chance to right an old wrong by doing a bad thing for the best of reasons. All he has to do is stay out of jail long enough to pull it off.